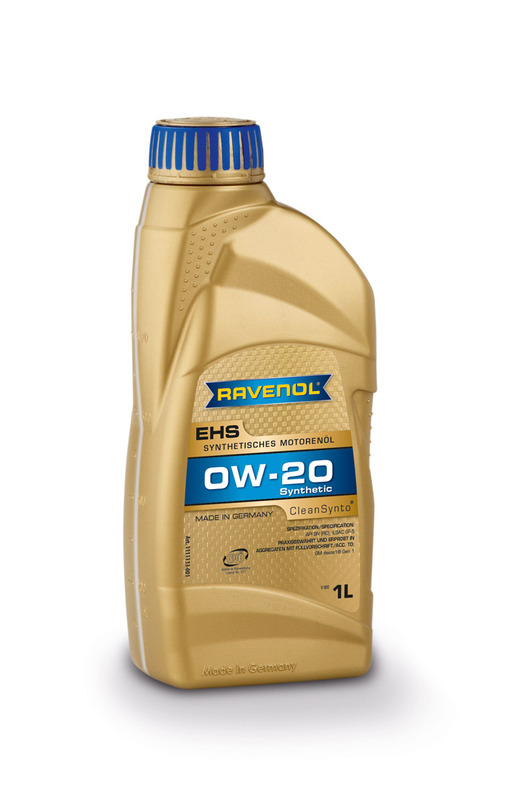 RAVENOL EHS 0W-20 is synthetic, low-friction engine oil with CleanSynto® technology for car gasoline and diesel engines, with or without turbocharging and direct injection. It minimizes friction, wear and fuel consumption, and is suitable for extended oil drain intervals according to manufacturer's instructions. It achieves a high viscosity index through its formulation with special base oils, and maintains its viscosity class even over extended oil change intervals. The excellent cold start behavior ensures optimum lubrication safety during the cold running phase. In addition, by a significant fuel economy, it reducing emissions and helps protect the environment. RAVENOL EHS 0W-20 is universal fuel-efficient engine oil, a top product for modern passenger car petrol and diesel engines. Reduces CO2 emissions, protect the environment.